The track starts on the Border track and then branches off and follows the Ships Stern circuit track before branching off again. 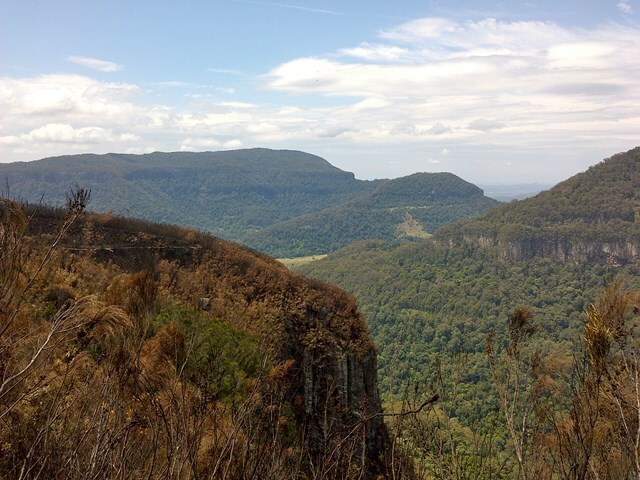 Well sign posted, good tracks and some good views from the Numinbah lookout. There is also a small cave side track that is sign posted. 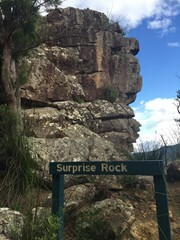 On the way back don't miss "Surprise Rock". Follow the signs from Nerang to Binna Burra. The track starts from the carpark near the campsite and cafe. To access the circuit you must walk down Border Track for 3km. 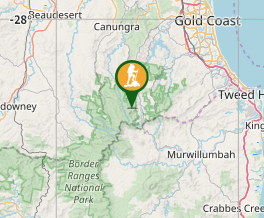 The information centre 1km before Binna Burra, The Binna Burra Lodge or Campsite have maps available. Don't miss climbing Suprise Rock for a great view. When you see the sign continue along the path about 200m when you see the fork take the path that heads towards the rock. You will see a short path where you can scramble up the rock. Really enjoyed this walk. Lots of different vegetation. 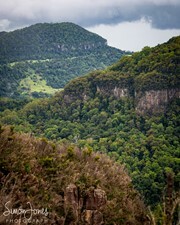 Beautiful views around the escarpment. Saw sundews and yellow tailed cockatoos. Walked today. 3h45m at a relaxed pace. Great views and a few spring crossings for water if you run out. Temp was coolish, and drizzle set in around 1pm, and temp dropped further. 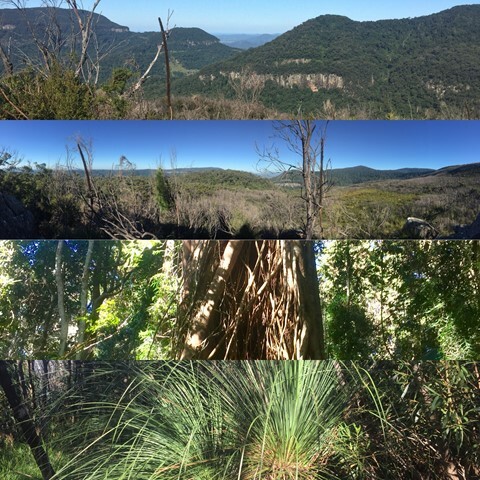 If the longer Ships Stern walk (19km) seems too much this features many similar changes in flora and similar views over Numinbah Valley. 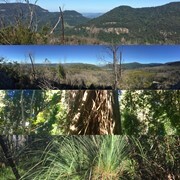 Very nice walk through different types of vegetation. Such a beautiful walk through rainforest, and then it opens up with some rugged rock faces. The change in the scenery is immediate which I always find amazing. 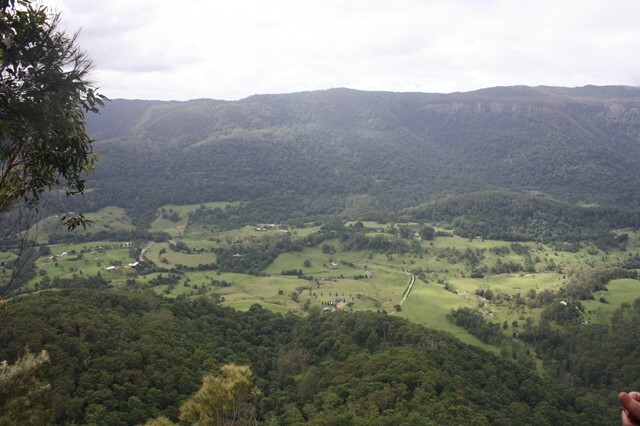 We walked this at a good steady pace and stopped for lunch & a rest at one of the views, it took us 3 1/2 hours to complete. What a stunningly beautiful day for a walk. This is the most beautiful walk. 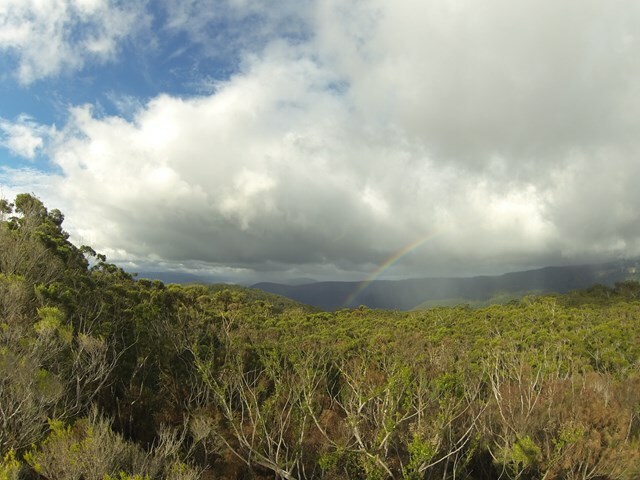 There are spectacular, drastic changes of scenery and incredible open views. Pretty easy, not too hilly. 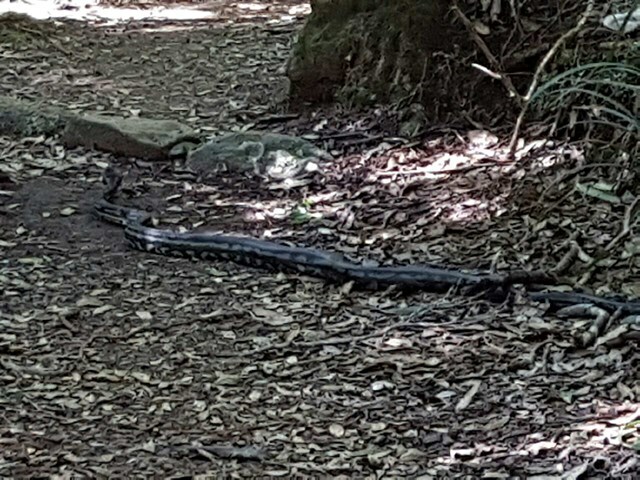 Saw a python, some pademelons, and a couple of crays. 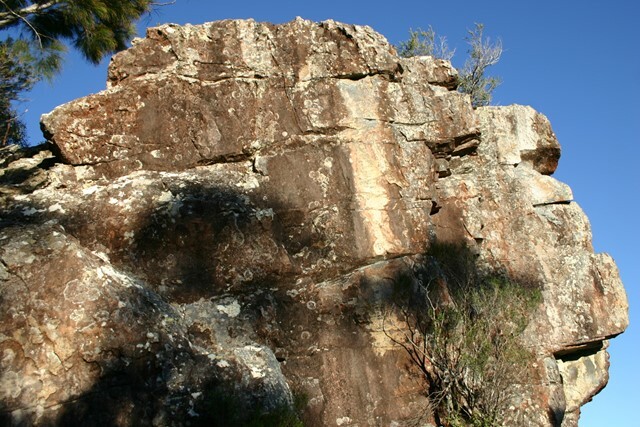 If you can, hop up on Surprise Rock for an incredible 360 degree view. What a beautiful walk! The vegetation changes are amazing. The fallen giants really are fallen giants. 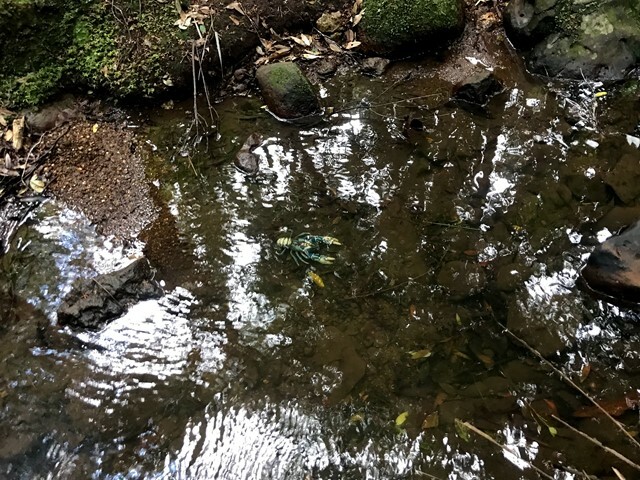 Saw 2 spiny blue crayfish in the creeks, nearly stepped on 2 snakes! Really loved this walk and would do it again without hesitation. Walked it with our 6.5yo daughter and took our time at the lookouts. Nice spot at Picnic Creek for a picnic stop too. We walked it in the anticlockwise direction. Any walking in this area is well worth it. 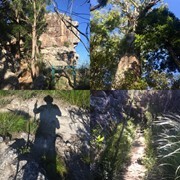 Variety of fauna and terrain. Saw my first land mullet - frighted the daylights out of me initially thinking it was some type of snake. The little cave halfway is a surprising find. Good views. 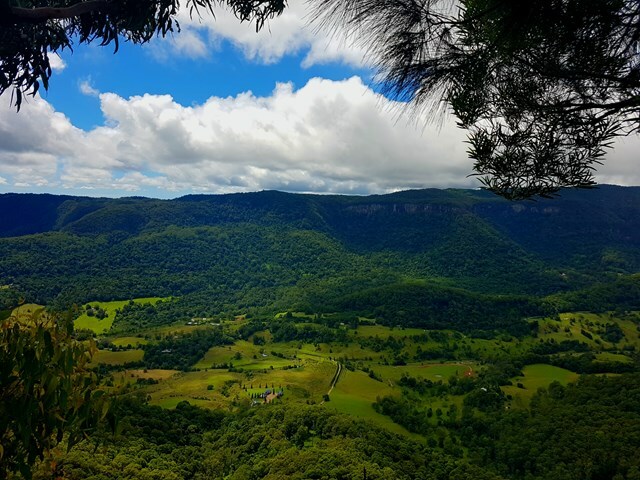 As indicated by previous comments and the overall rating, this hike is relatively easy with no steep up or downhill climbs. Adding the 4.6km return upper Balanjui (spelling?) falls is well worth it, and so is the scramble up surprise rock. Found you are a bit exposed when walking through the bushfire ravaged section. The diverse vegetation you experience on the walk is excellent. Quite a few places to stop and have a picnic.. didn't have any issues with leeches. 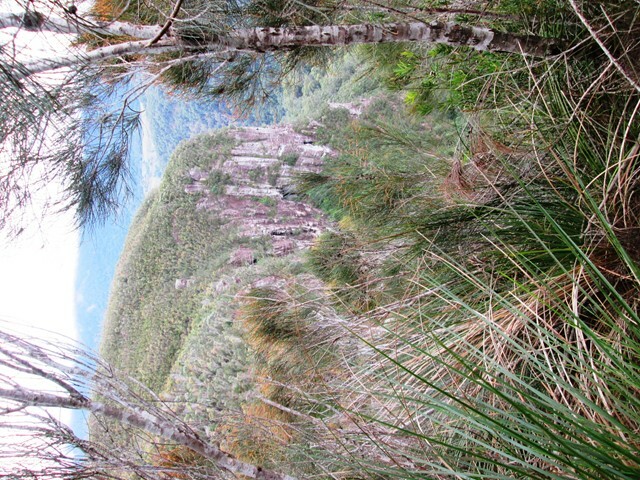 Great variety of flora from rainforest to scrubland and montane heath. Today had a variety of weather too. we confirmed that this one is best done in a clockwise direction after rain. Much easier than it looks from the top! Don't miss it. Nice easy walk with great views. Lots of leeches if the trails are at wet, except in the middle sections. 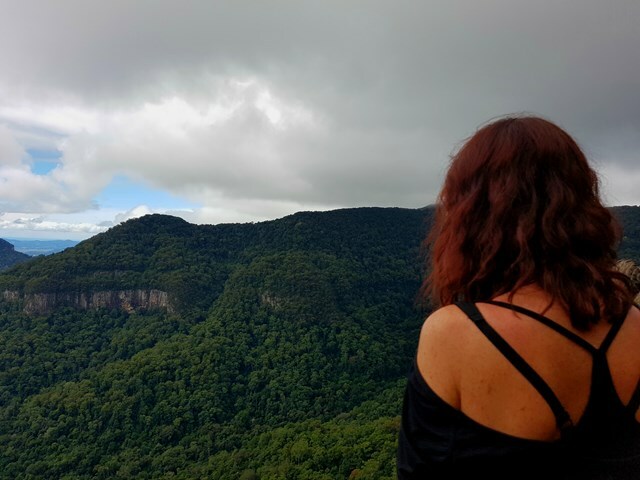 Very pleasant rainforest walk for half of the walk with lots of bird life and half is a path near the edge of the mountain top with good views, though not as spectacular as other hikes. It is an easy track without very steep sections. 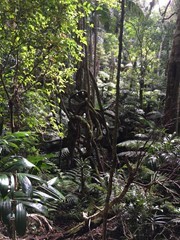 Awesome walk through diverse rainforest with some amazing views. Definitely do the quick scramble up surprise rock, you will not be disappointed! Some parts of the track currently have trees which have fallen covering the path, but they're easy to get around. Yes... there are leeches amongst plenty other wildlife. 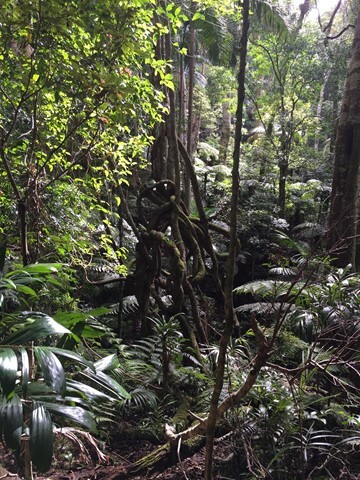 An amazing walk through the rainforest, some great views and examples of Antarctic Beech.